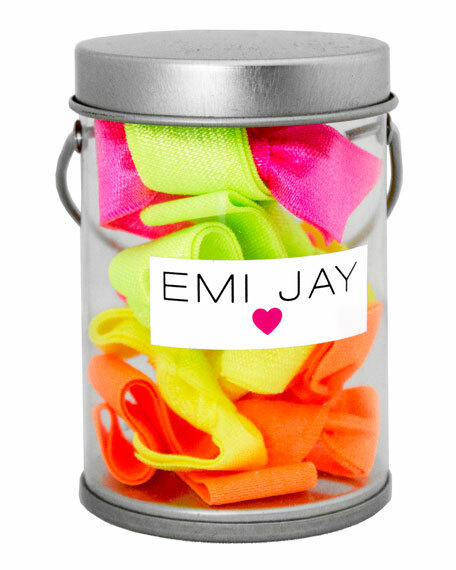 8 hair ties in Emi Jay's adorable paint tin with handle: 2 lime green, 2 hot pink, 2 bright orange, 2 bright yellow. 8 Hair Ties (5/8") in our adorable paint tin with handle: 2 Black/White Chevron Printed Hair Ties, 2 Black/White Dots Printed Hair Ties, 2 Black/White Stripes Printed Hair Ties, 2 Black/White Houndstooth Printed Hair Ties. 3 chic handmade metallic leather bows are a new addition to our classic hair tie, & will add elegance to your everyday look. 2.5" leather bow on 5/8"W elastic. 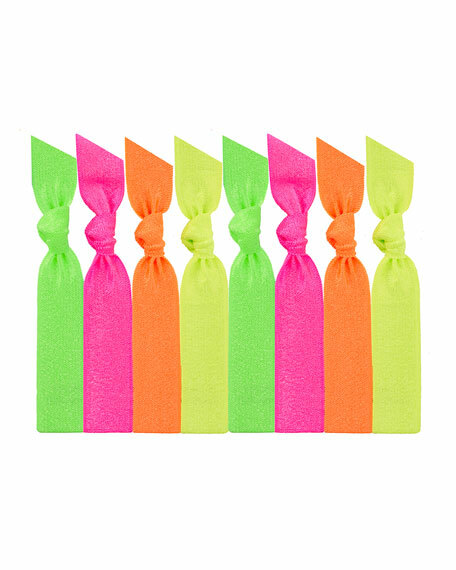 8 Hair Ties in our adorable paint tin with handle: 2 Neon Green Hair Ties, 2 Neon Orange Hair Ties, 2 Neon Pink Hair Ties, 2 Neon Yellow Hair Ties.